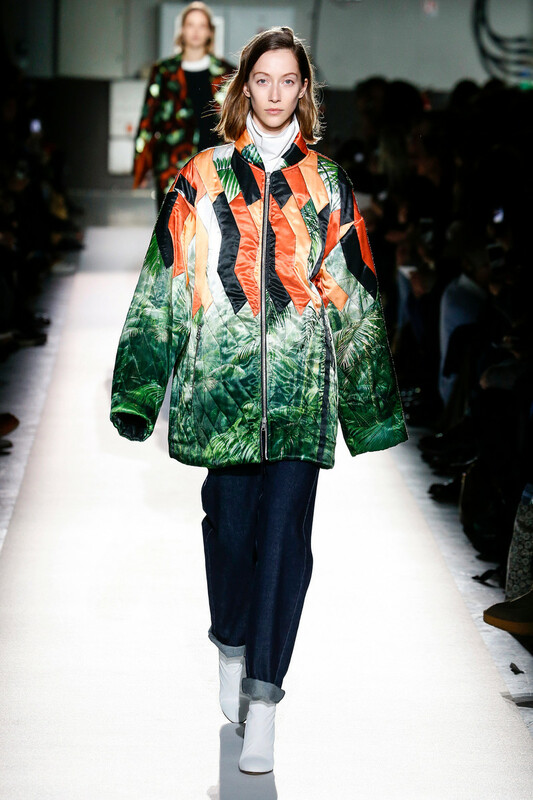 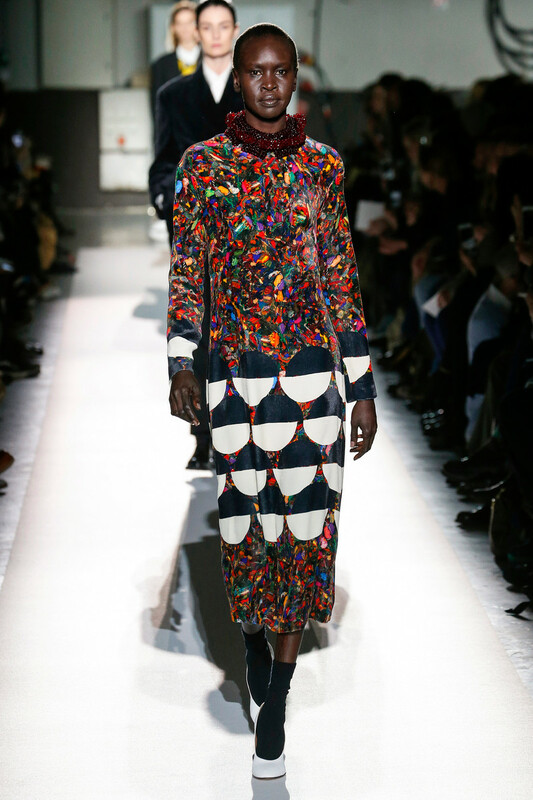 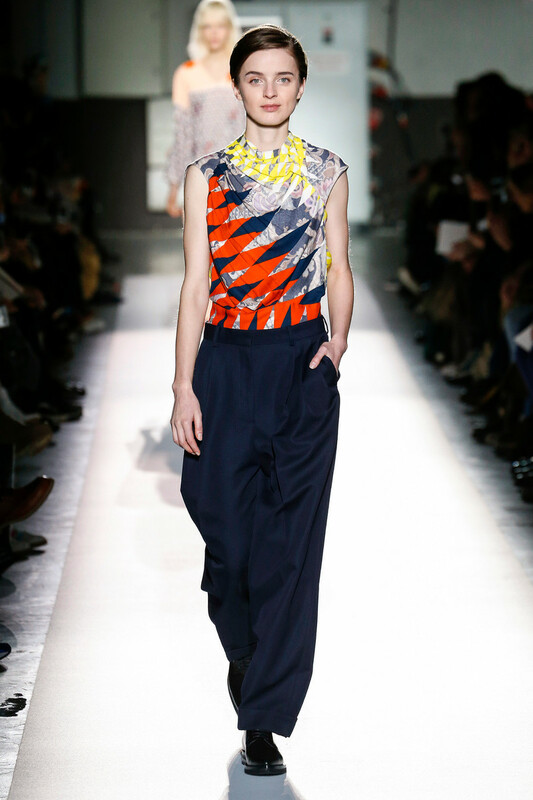 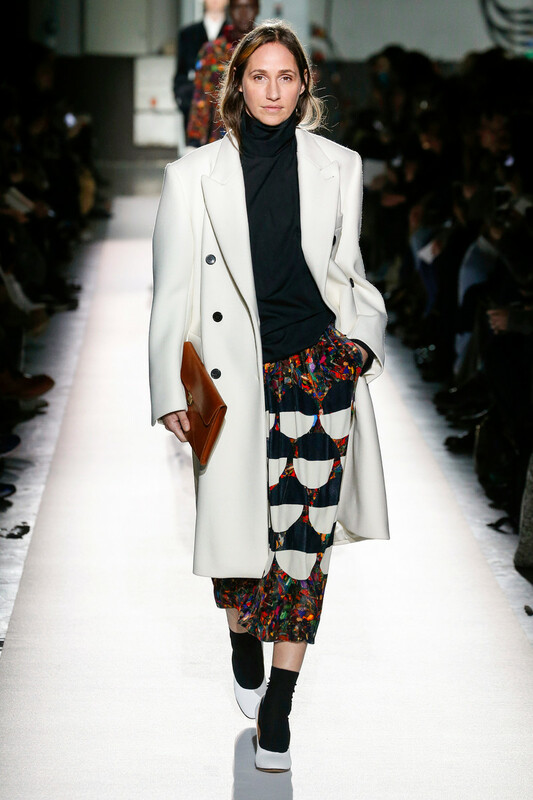 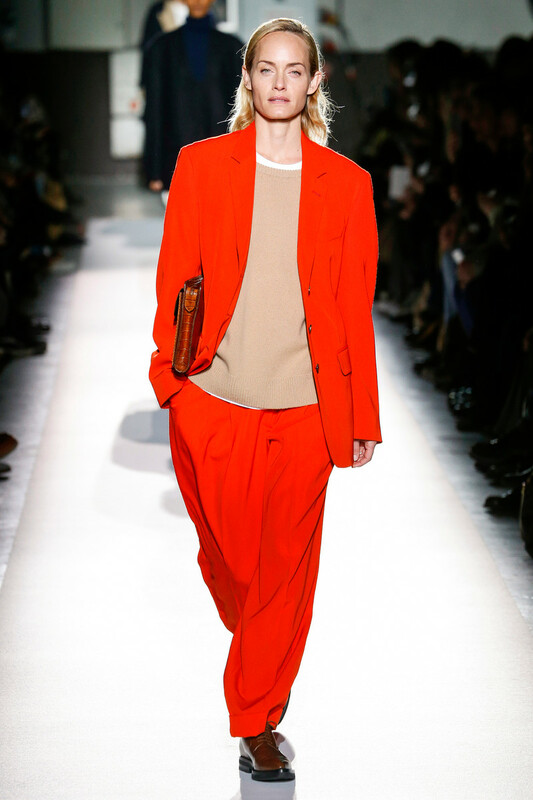 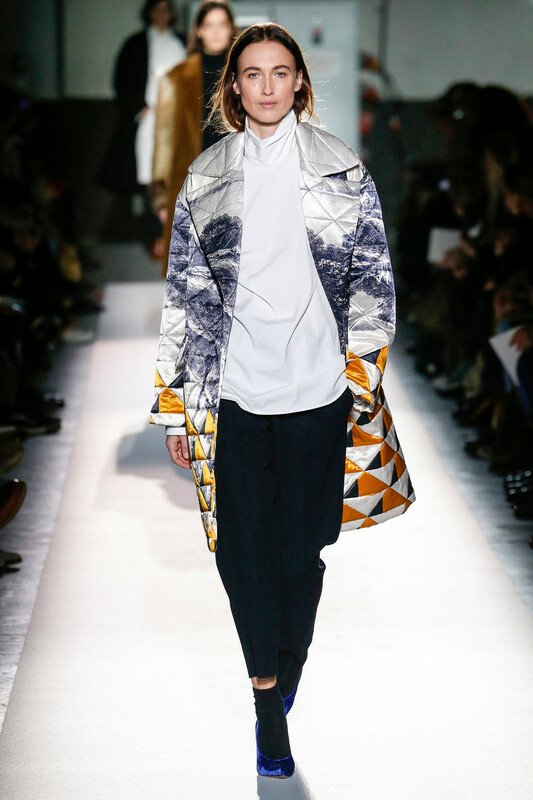 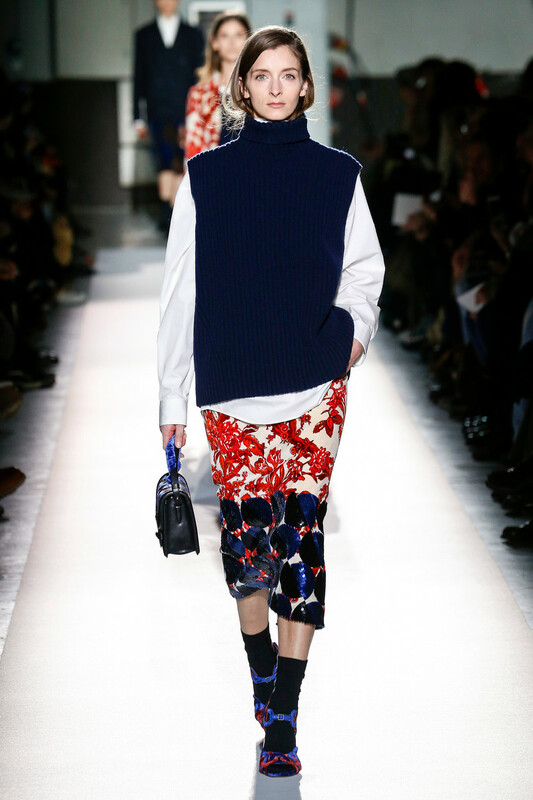 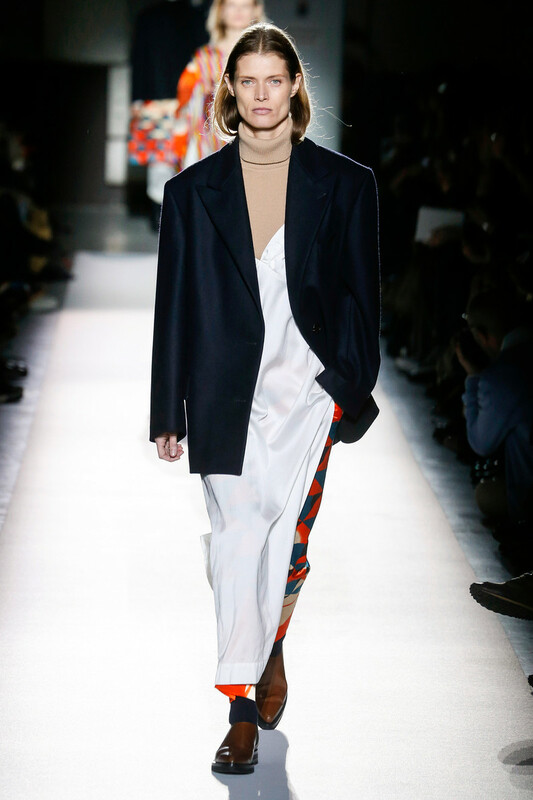 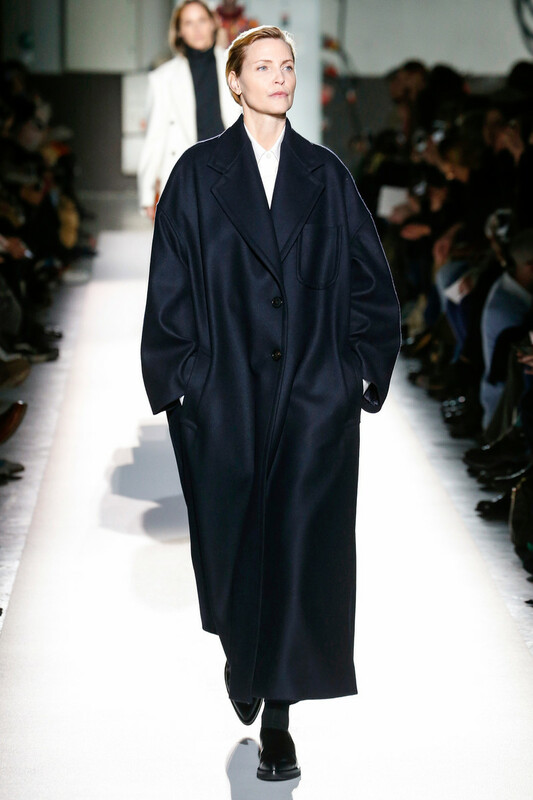 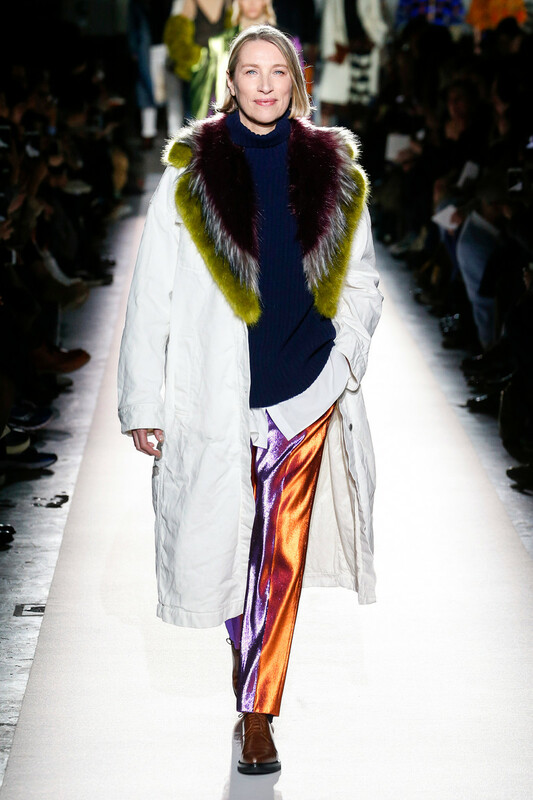 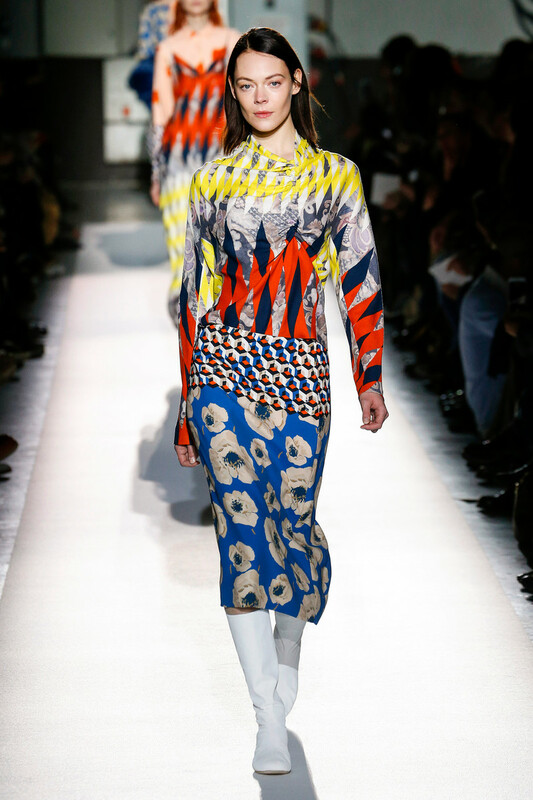 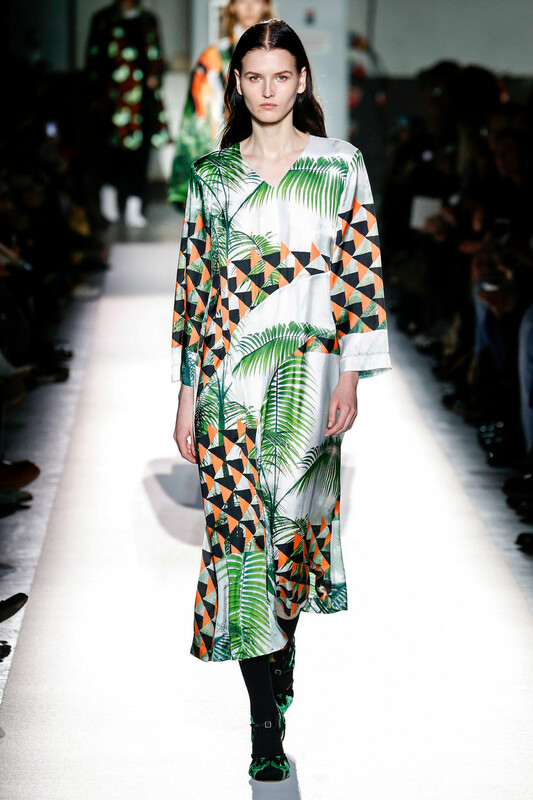 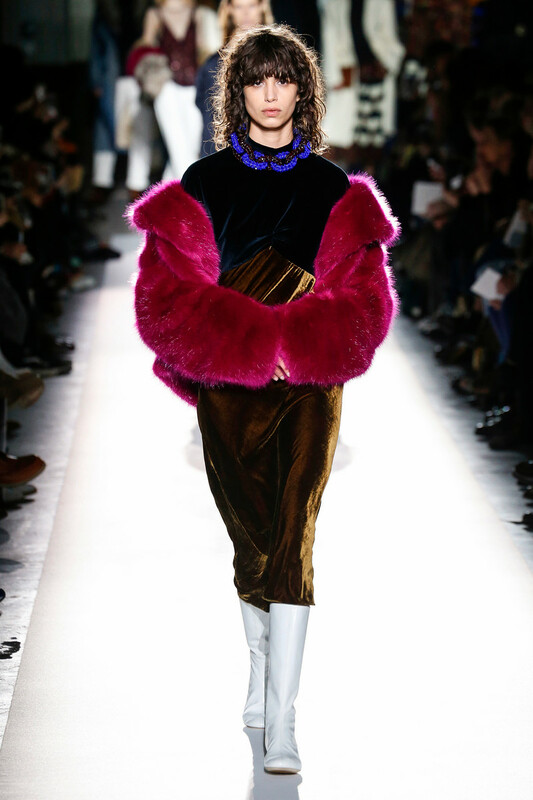 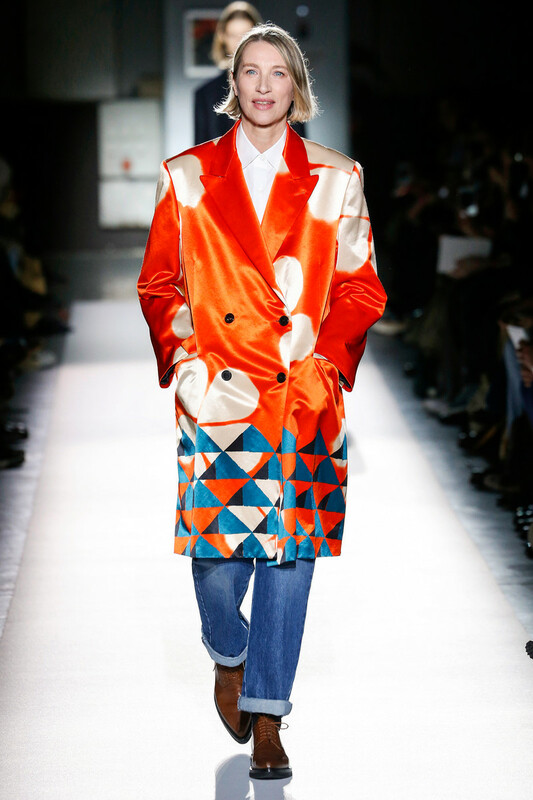 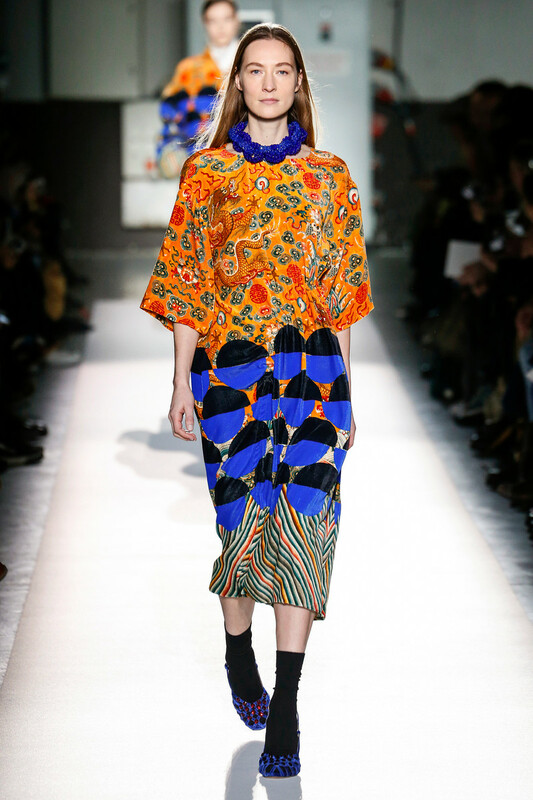 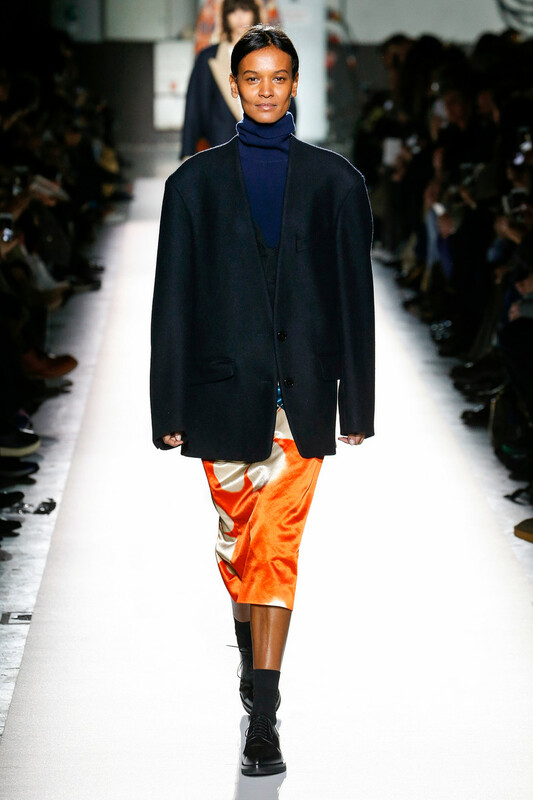 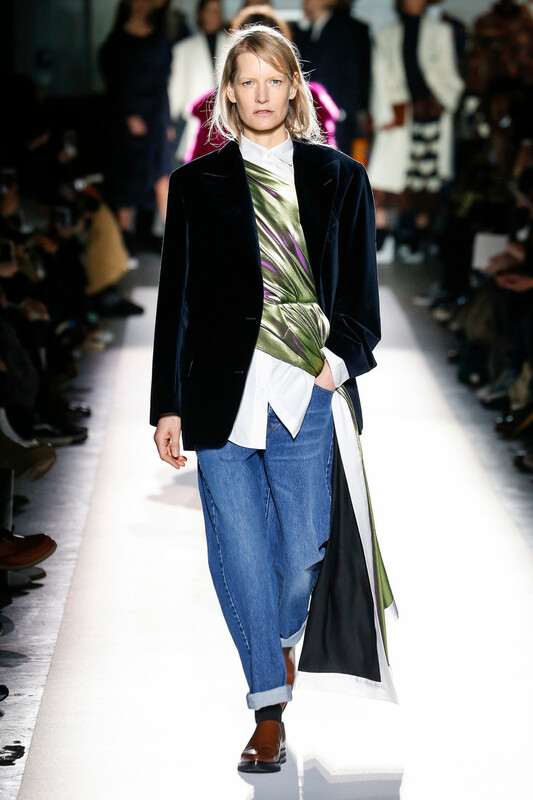 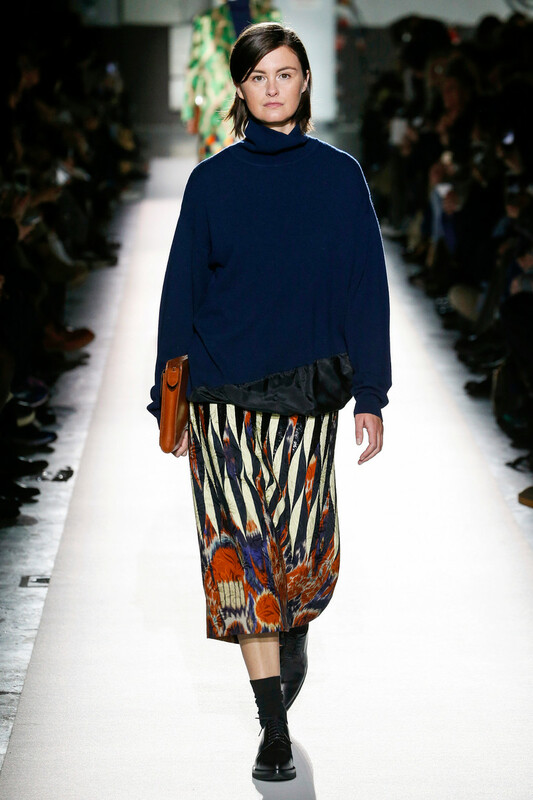 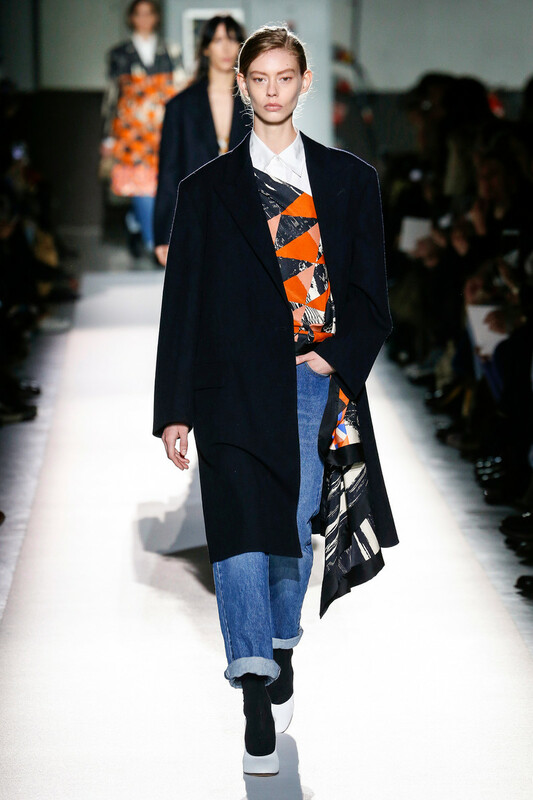 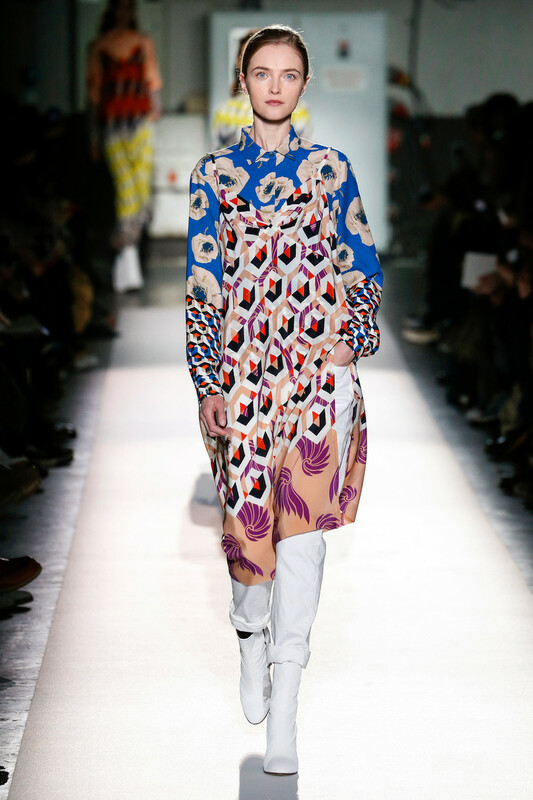 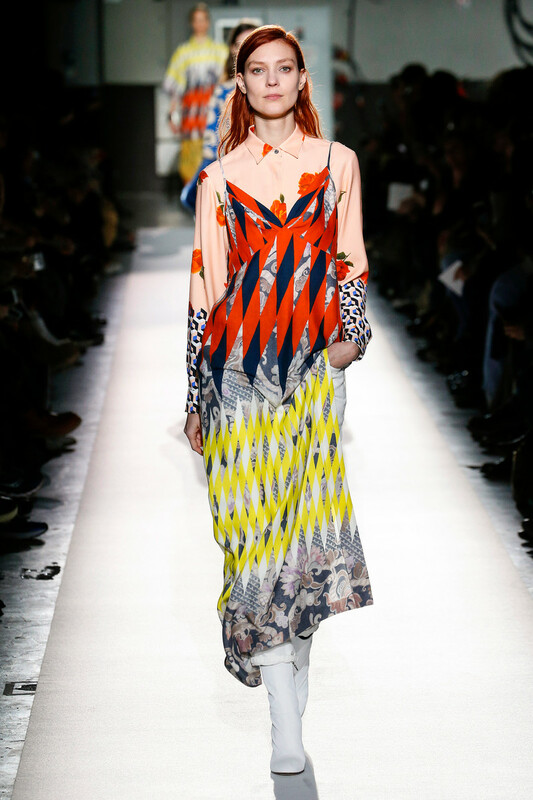 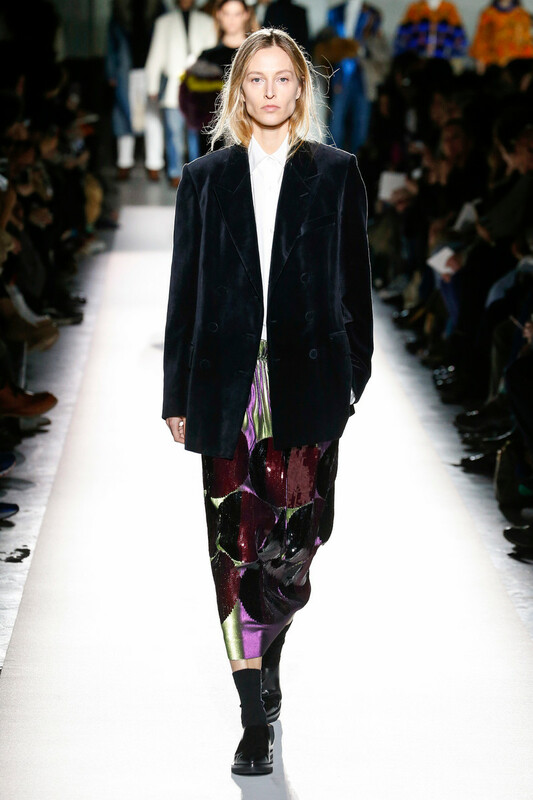 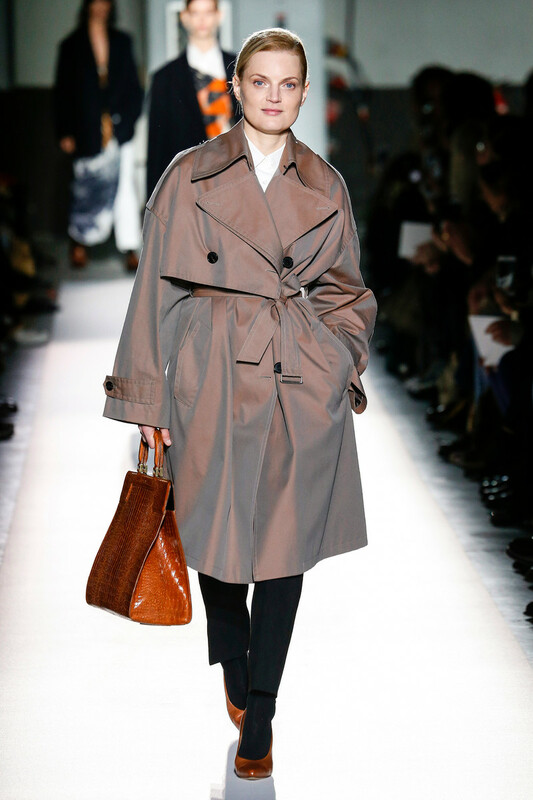 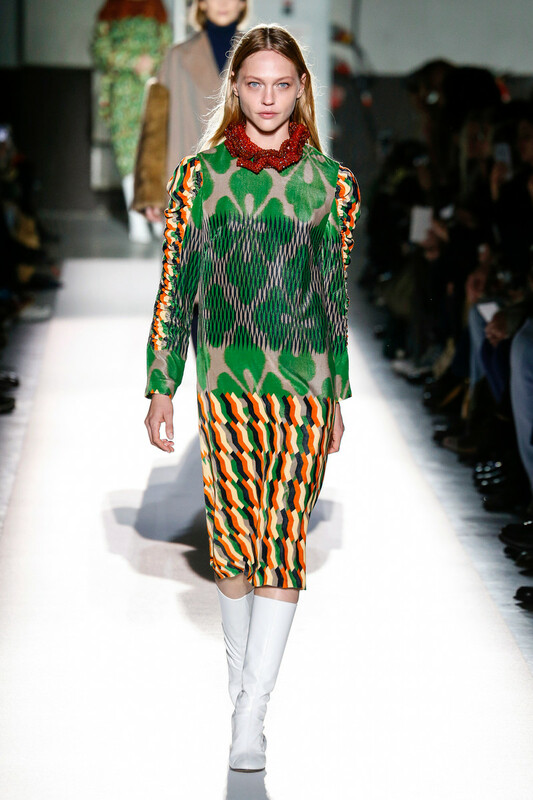 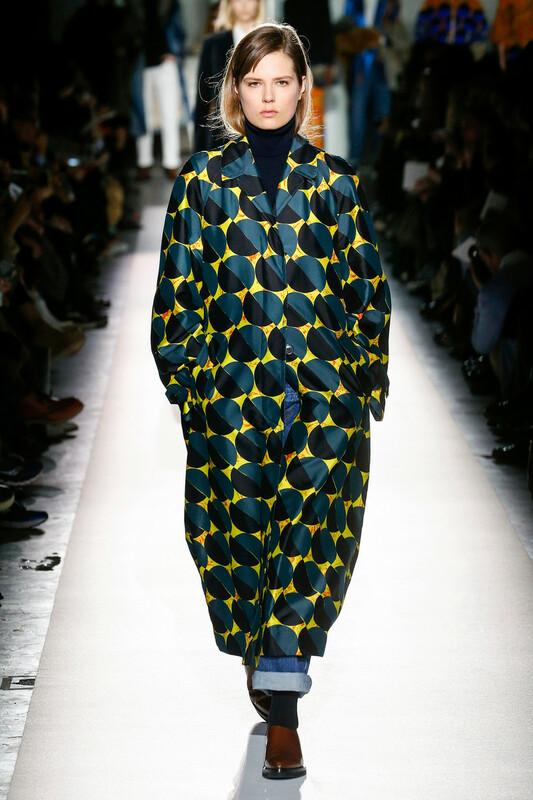 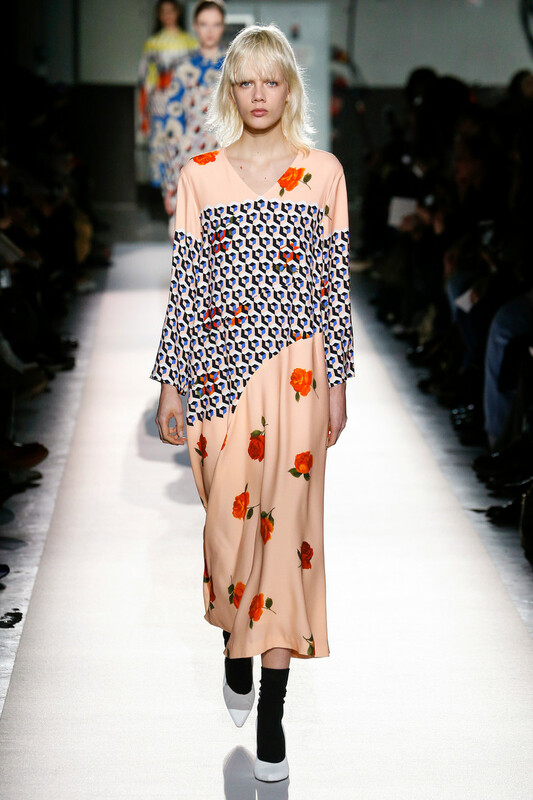 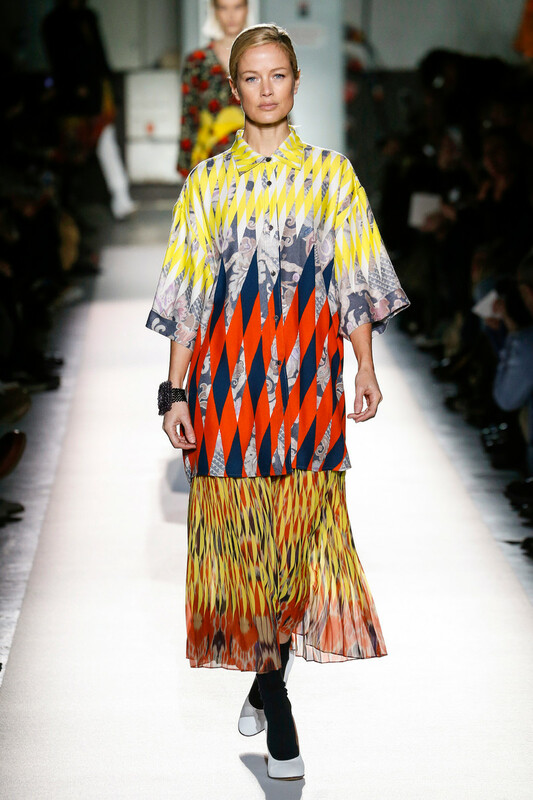 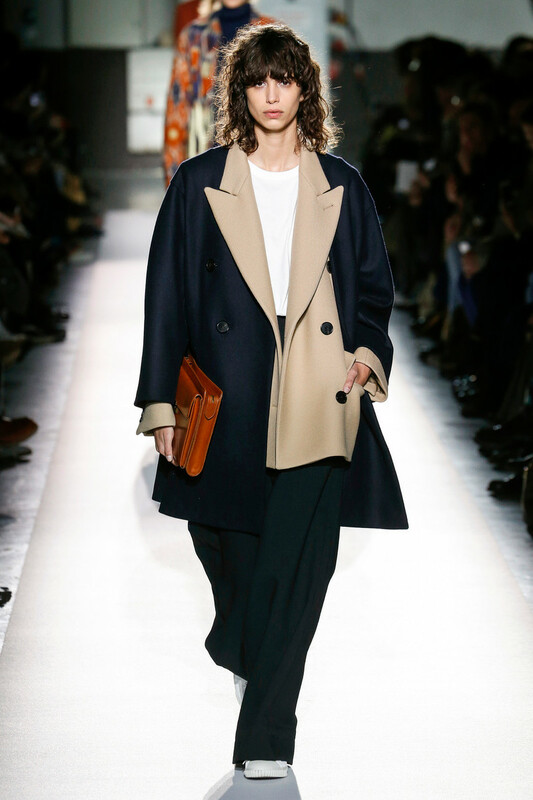 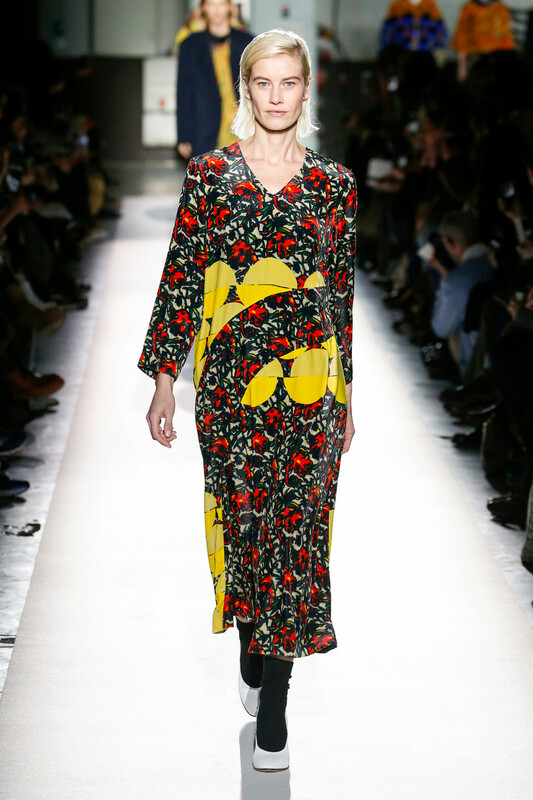 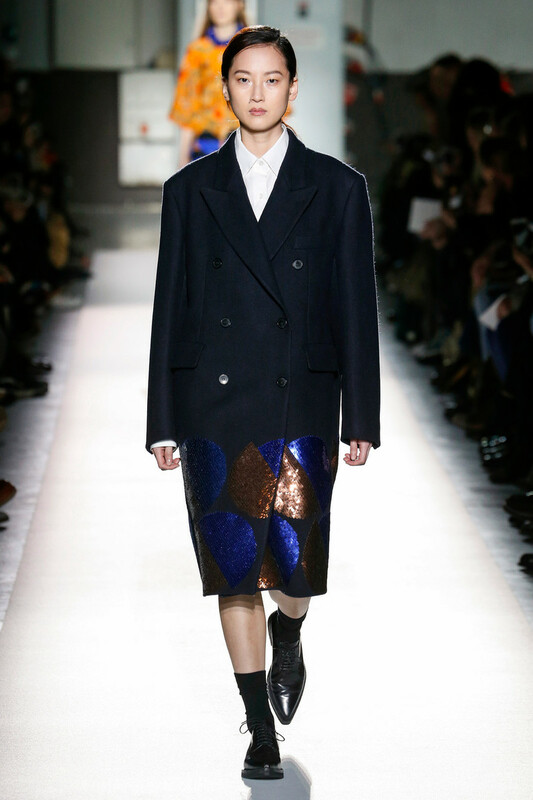 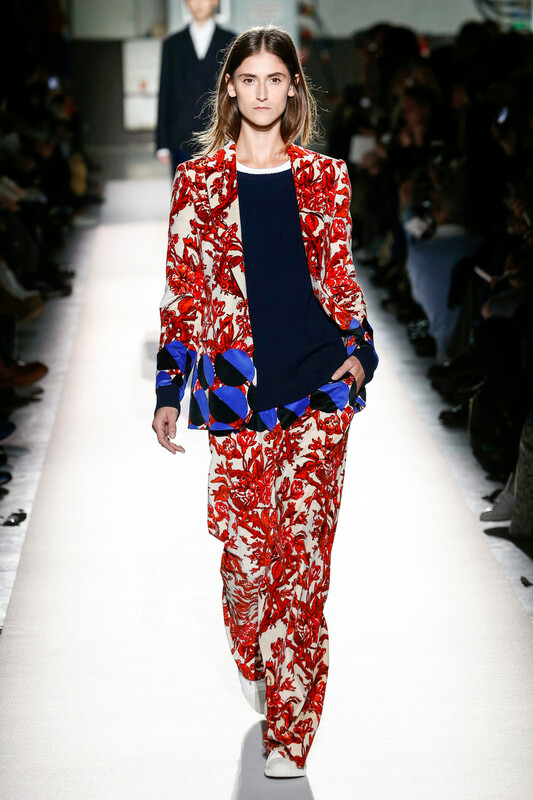 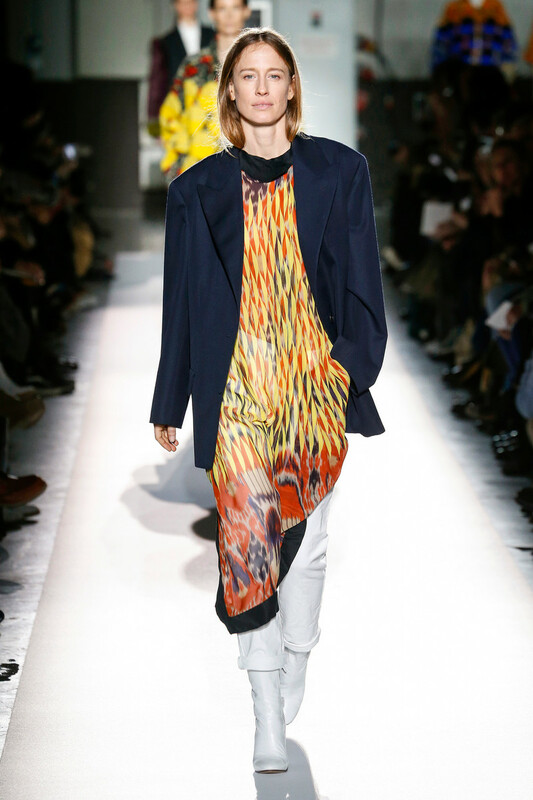 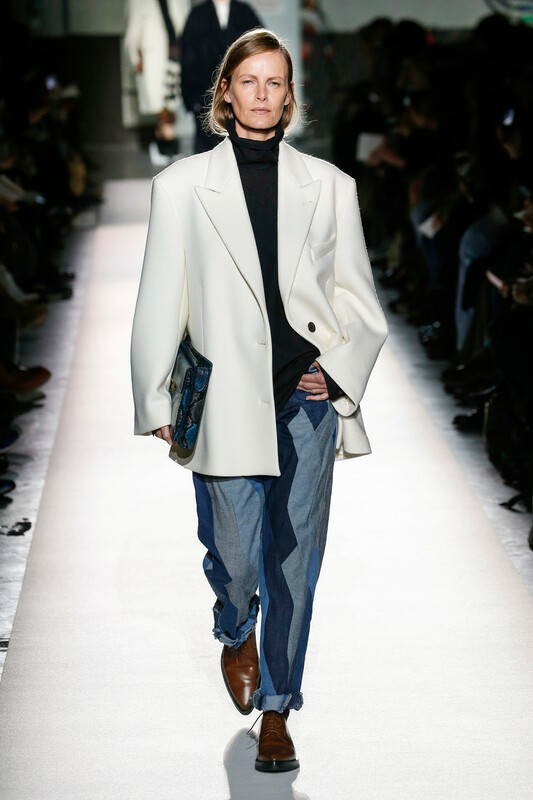 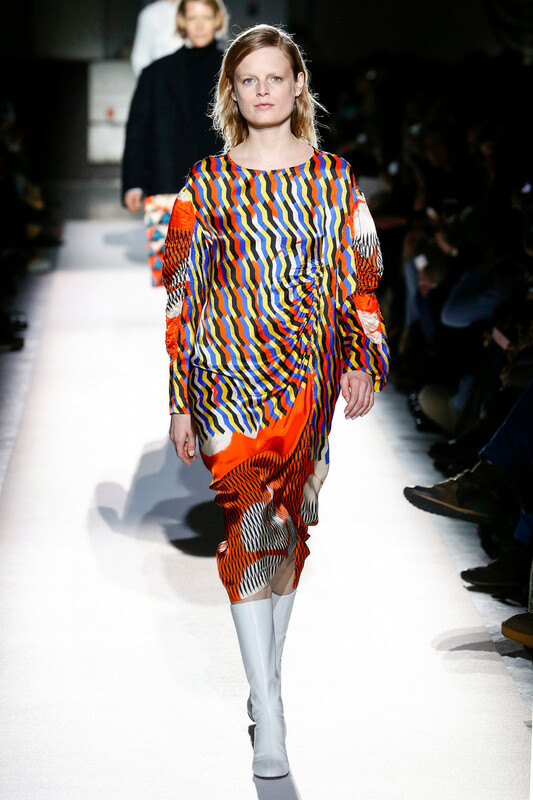 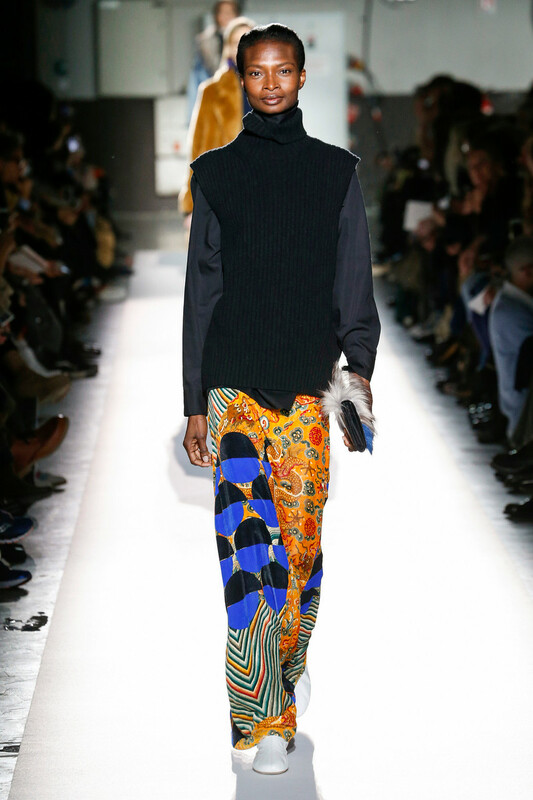 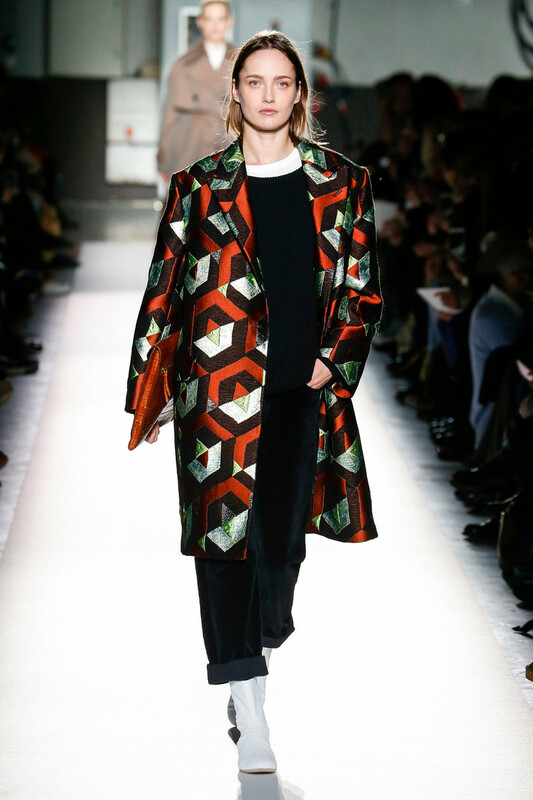 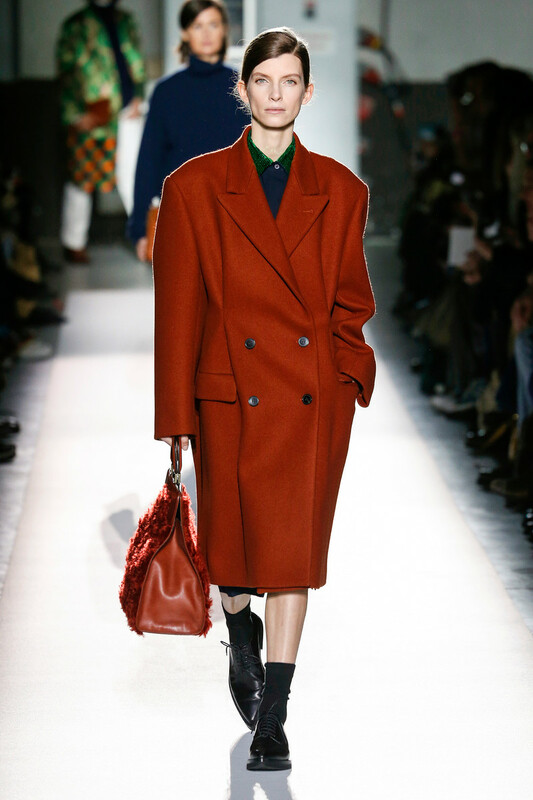 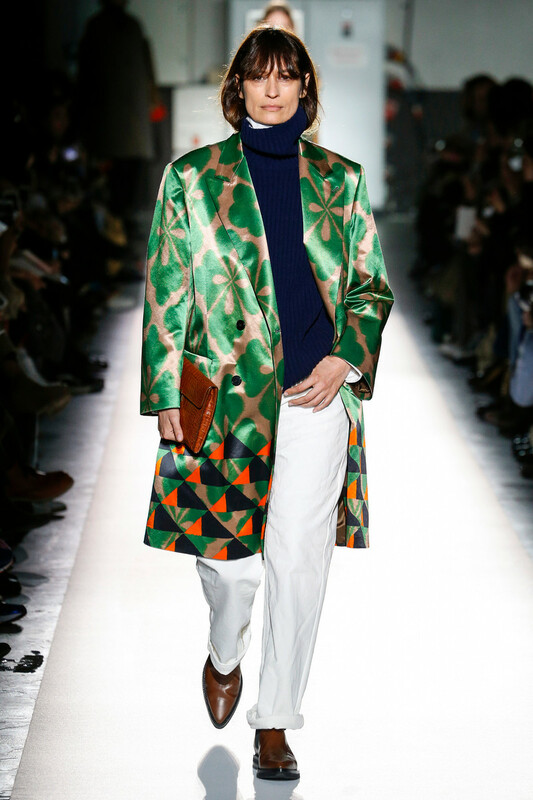 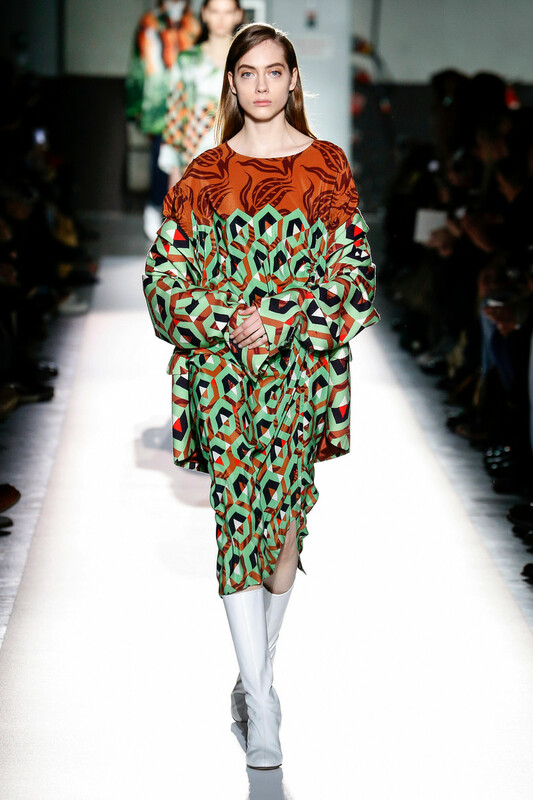 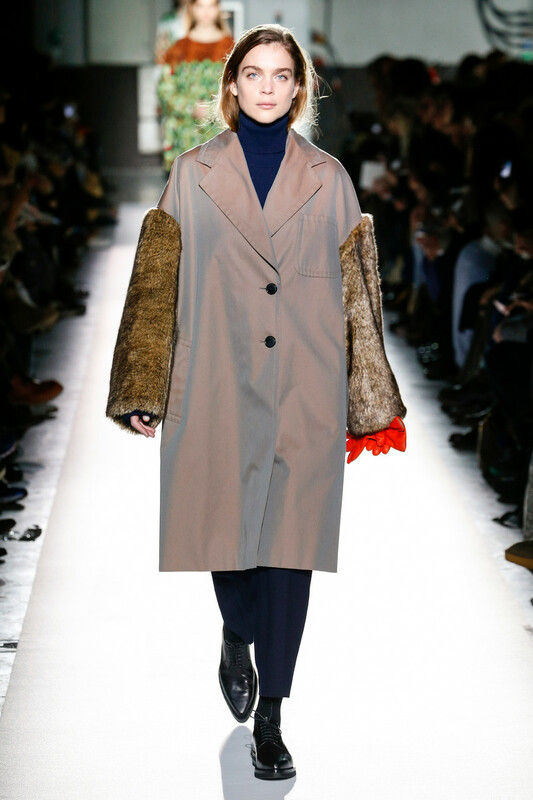 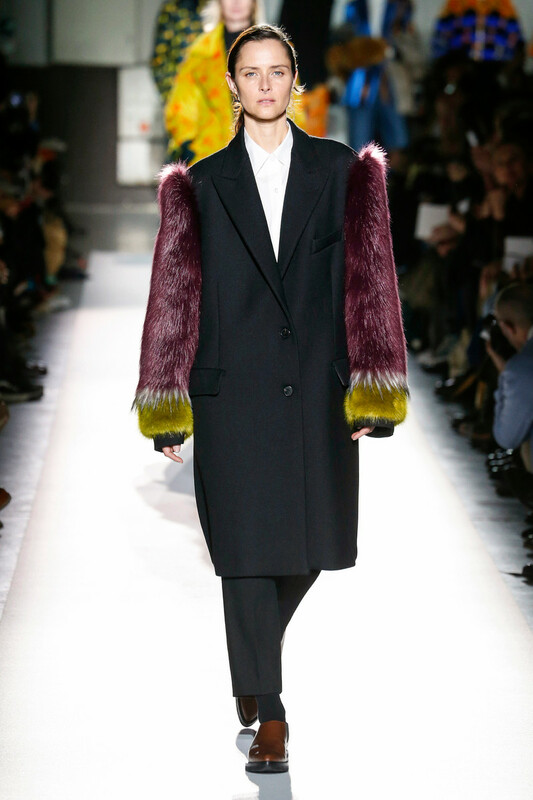 Dries van Noten’s show yesterday marked a milestone: it was his 100th collection inclusing women’s and men’s. 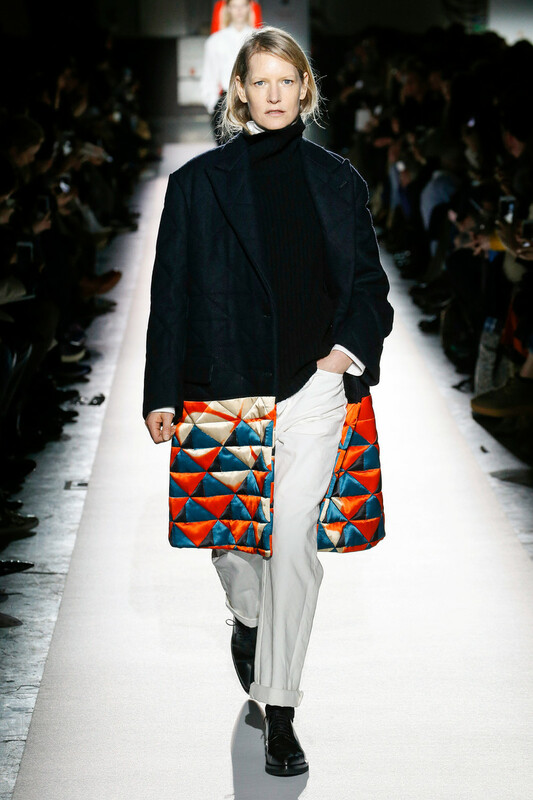 And he took the opportunity to look back, but without being nostalgic. 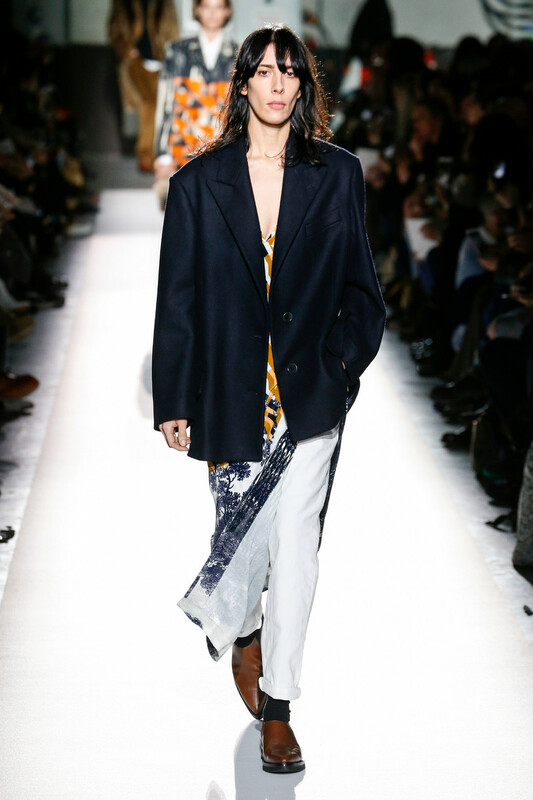 He chose to celebrate with the clothes and the women who have telegraphed their power from the beginning – literally generations of runway models. 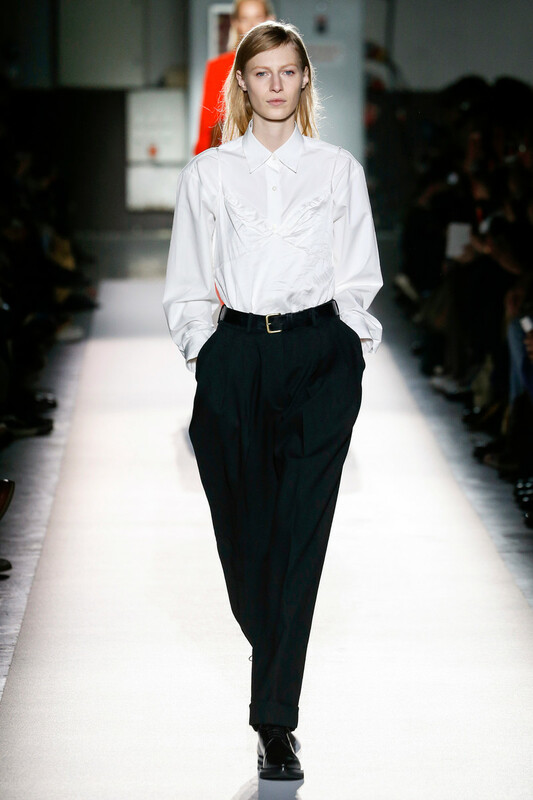 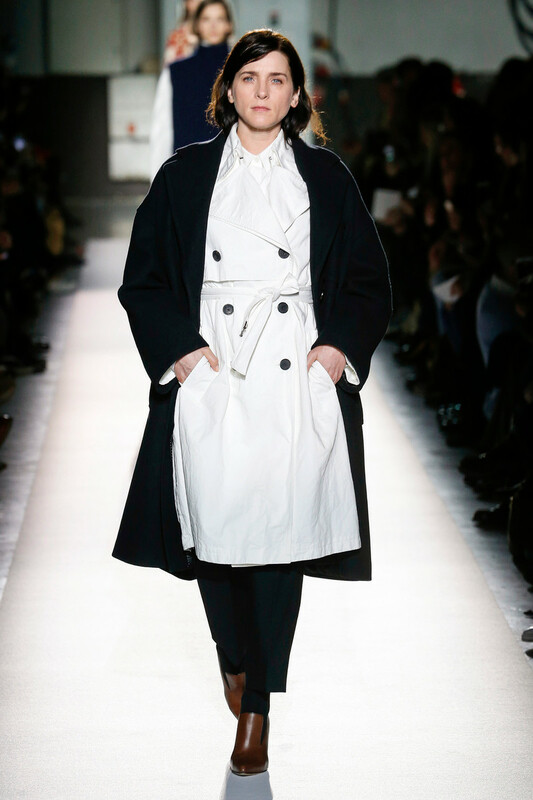 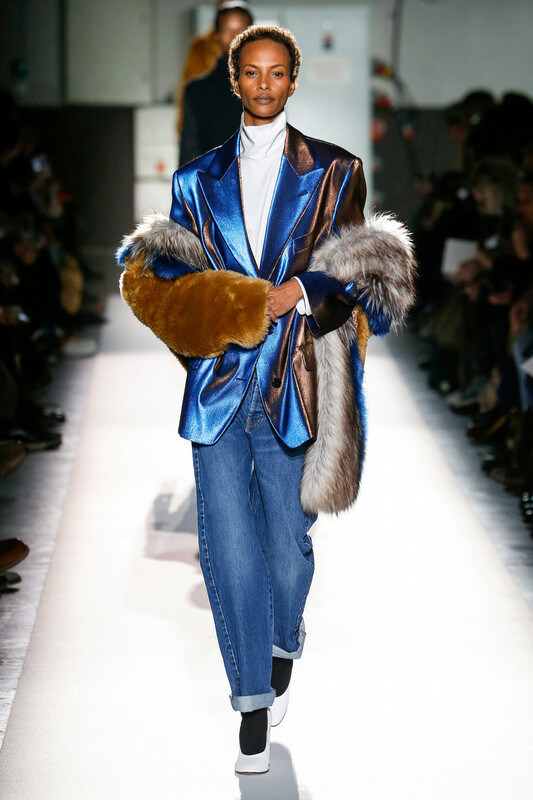 He opened with Kristina de Coninck, followed by a roll call of his favorite go-to girls from the Nineties on — Amber Valletta, Anne Catherine Lacroix, Carolyn Murphy, Alek Wek, Cecilia Chancellor, Élise Crombez, Erin O’Connor, Esther de Jong, Guinevere Van Seenus, Kirsten Owen, Liya Kebede and Nadja Auermann — who shared the runway with the familiar faces of today. 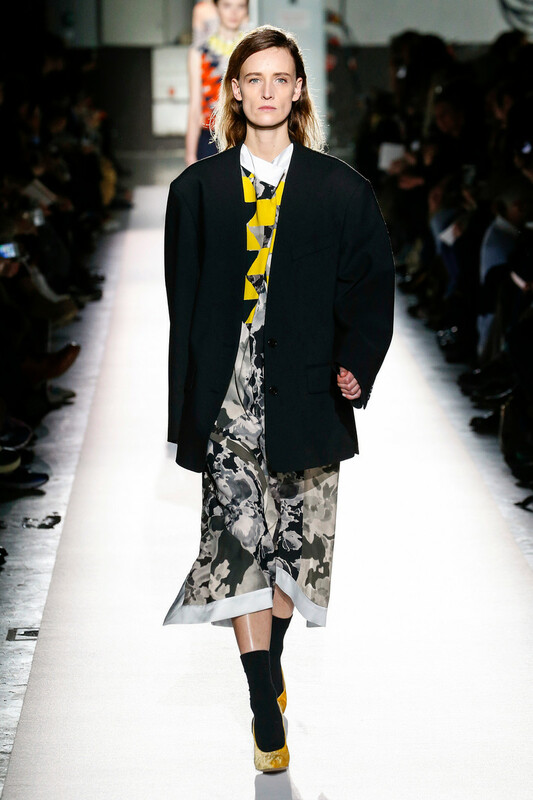 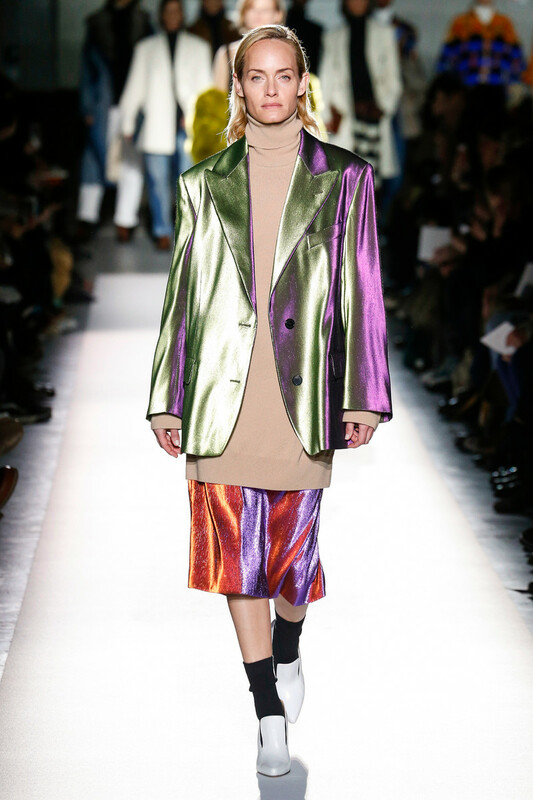 Van Noten dressed them to play up their strength, both as individuals and as a gender. 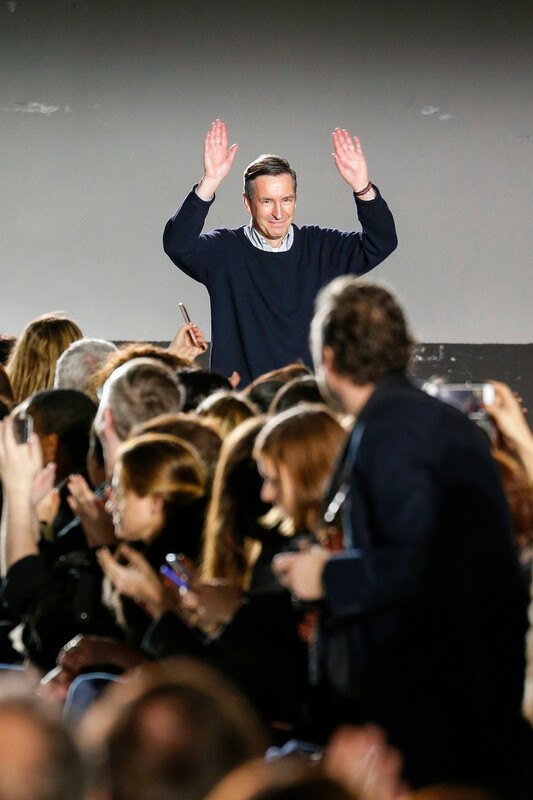 And it did work, powerfully and easily. 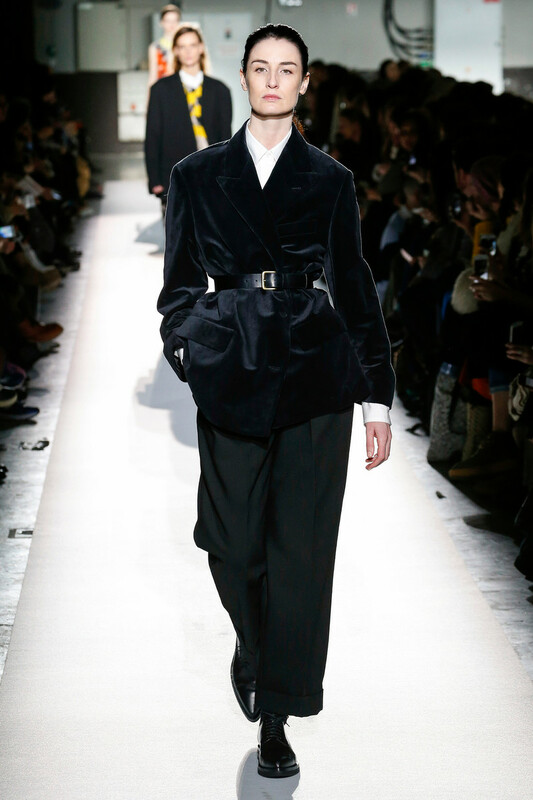 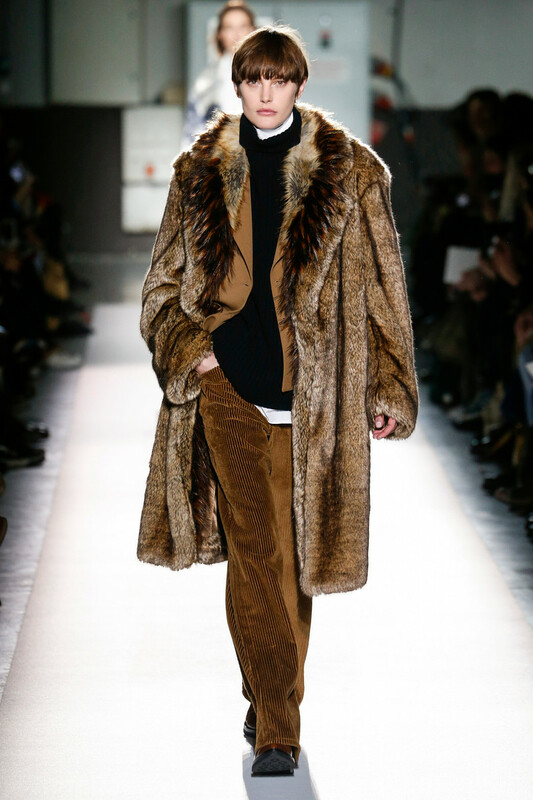 Van Noten crossed traditional masculine and feminine elements on his runway. 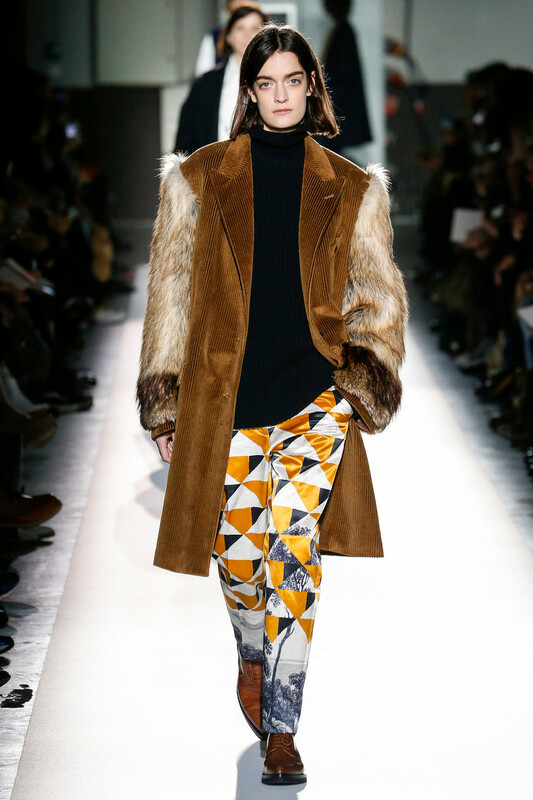 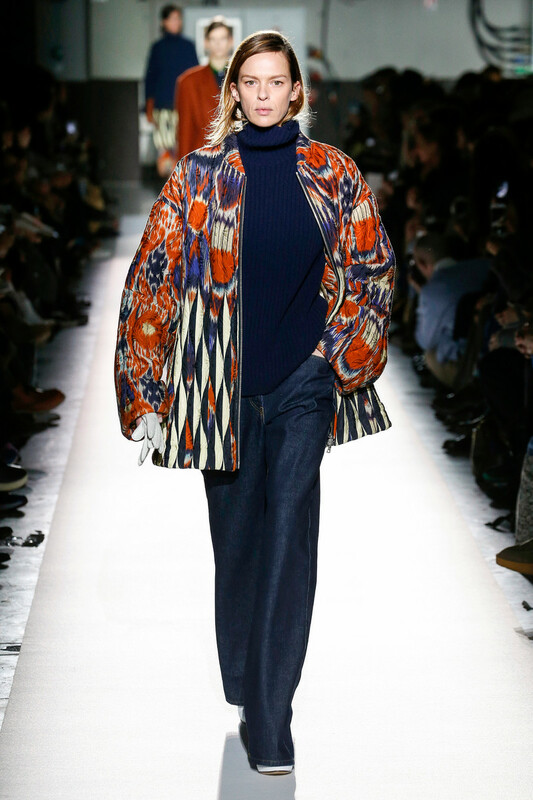 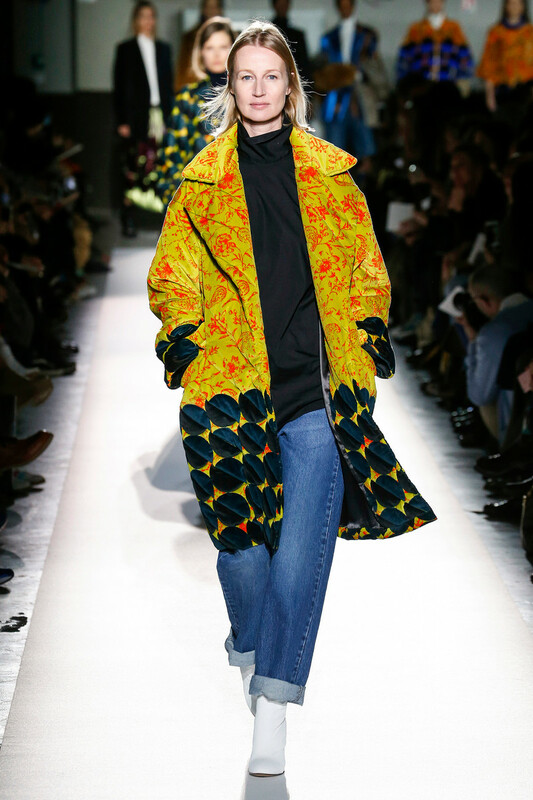 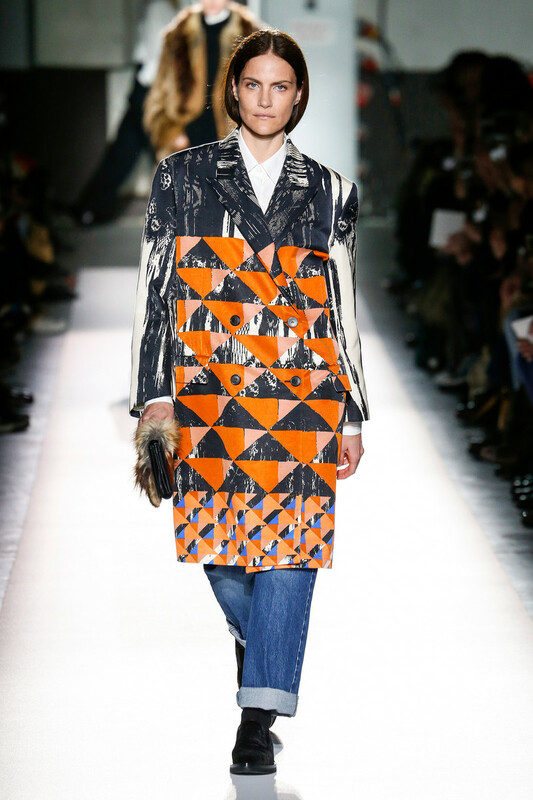 Van Noten’s other big message: prints – he’s a master of the genre. 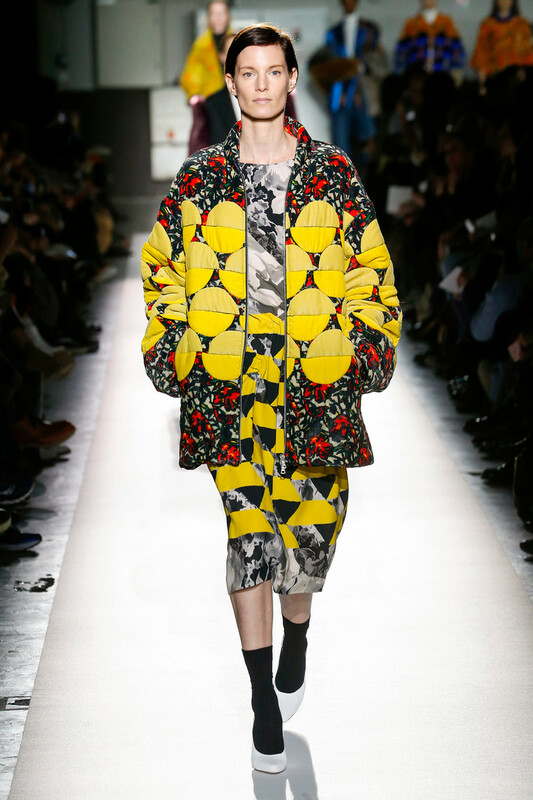 As part of looking back, he revived favorite patterns from his archive, overprinting them with additional motifs so that nothing is today as it was then.